Hypokalemia (hypo-low, kal-potassium-emia-blood) is a deficiency of potassium in the blood plasma, the straw coloured, liquid part of the blood which makes up approximately 55% of the blood volume. Also known as kalium (with the symbol K), cats obtain potassium through their diet. Over 90% of potassium is located within the body’s cells (intracellular), the remainder is present in the extracellular fluid of the blood. Kidneys control levels of potassium by excreting excess out of the body via the urine. Maintains the body’s electrolyte balance and acid/alkali levels in cells and tissues. It plays an important role in heart, skeletal, and smooth muscle contraction (including the heart). Transmitting messages from the nerves to the muscles, making it important for normal heart, digestive, and muscular function. Transports nutrients into cells and removes wastes from cells. By far, the most common cause of hypokalemia in cats is a loss of potassium due to increased potassium excretion in cats with chronic kidney disease (CRD). Vomiting is common in cats with CRF which also leads to further losses. Decreased potassium intake, due to a diet low in potassium, insufficient amounts of food, loss of appetite, or inadequate diet. Gastrointestinal loss due to prolonged vomiting and/or diarrhea. Urinary loss of potassium due to chronic kidney disease, diabetes and certain medications such as furosemide. Diabetes due to decreased appetite and increased urination. Hyperthyroidism has been linked to hypokalemia, but the exact mechanism isn’t known. Post obstructive diuresis in cats who have had urinary blockages treated. Once the obstruction is removed, urine output will increase. The kidneys are able to resume their job of urine production to remove toxins from the bloodstream. Primary or secondary hyperaldosteronism (also known as Conn syndrome). The adrenal glands sit on top of the kidneys producing a number of hormones. The outer layer (known as the cortex) produces two hormones, cortisol, and aldosterone. The latter hormone, aldosterone is responsible for elevating blood pressure when necessary, during this process, potassium is excreted from the body via the urine. These hormones are usually kept in check, however, when aldosterone levels rise abnormally, excessive amounts of potassium can be lost. Primary hyperaldosteronism is caused by a hormone-secreting tumour of the adrenal gland(s), the secondary can be due to kidney disease, congestive heart failure or liver disease. Inherited hypokalemia (familial episodic hypokalemic polymyopathy) has been known to affect some Burmese and related cat breeds. Administration of sodium bicarbonate to treat metabolic acidosis can push potassium into cells. Administration of insulin which drives potassium into cells. Glucose administration, which stimulates insulin production, which drives potassium into cells. Mild cases of hypokalemia are usually asymptomatic. Symptoms may relate to the underlying cause and not hypokalemia itself. 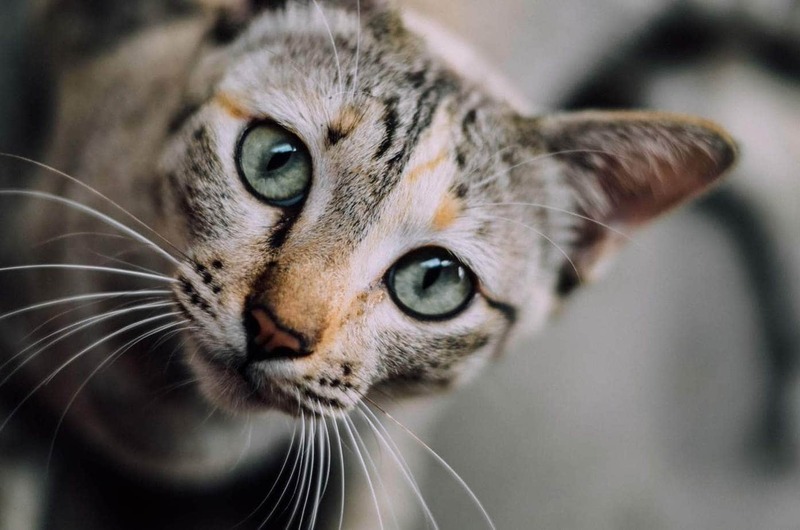 Cats with moderate to severe hypokalemia will present with symptoms due to low potassium which interferes with the contractibility of skeletal, cardiac and smooth muscles. 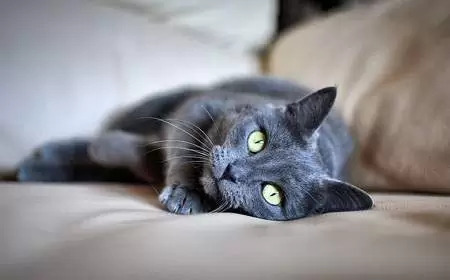 One of the first symptoms of hypokalemia in cats is severe muscle weakness which is due to the higher loss of potassium from the muscles compared to other tissues. Abnormal heart rhythms (arrhythmias) can develop in the heart (also a muscle). Severe cases can cause death either due to abnormal heart function or paralysis of the respiratory muscles. Depending on the underlying cause, other symptoms may also be present such as those associated with kidney disease. The veterinarian will perform a complete physical examination of your cat and obtain a medical history from you, which will include any medical conditions your cat may have and medications he may be taking, duration and type of symptoms your cat has displayed. During the examination, he will detect bradycardia (abnormally slow heartbeat). Biochemical profile: Potassium is decreased. Elevated BUN (blood urea nitrogen) and creatinine levels in cats with kidney failure. Urinalysis to measure levels of potassium in the urine. Urine specific gravity to determine how concentrated the urine is as well as evaluate for excess potassium. Complete blood count which may reveal mild anemia if your cat has chronic kidney disease. Electrocardiogram to determine if hypokalemia has affected normal heart function. Genetic testing for Burmese and related breeds suspected having familial episodic hypokalaemic polymyopathy. Additional diagnostic tests may also be necessary to find the underlying cause. This may include ultrasound or x-rays to evaluate the kidneys and T3 and T4 tests to check for hyperthyroidism. The goal of treatment is to return serum potassium levels to normal by reducing potassium losses, replace lost potassium, closely monitor potassium levels and treat the underlying cause. Medications to control diarrhea and/or vomiting. Intravenous administration of concentrated potassium for severely affected cats until stabilised, then switch to oral potassium. This treatment does not come without its risks however and it is important to monitor potassium levels. Most cats who receive treatment will make a full recovery and an improvement can be expected 1-3 days after administration of potassium. Cats with chronic kidney disease will need ongoing treatment to manage the disease. While there is no cure for chronic kidney disease, it is possible to slow down its progression. Why Do Cats Scratch Around Their Food Bowl?